This two-seater sofa packs a lot of modern sophistication into its small-scale frame. 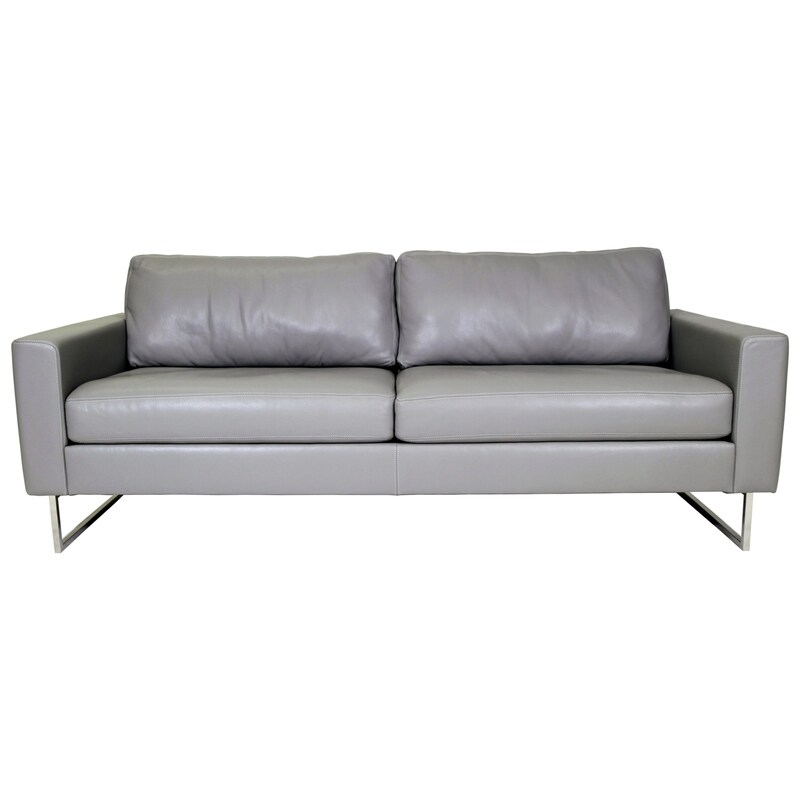 The sofa features track arms and clean lines for a sleek silhouette, enhanced by stainless steel sled legs. Customize the design by changing the metal base to stiletto wood legs and choosing from hundreds of fabric and top grain leather options. The Ely Sofa by American Leather at C. S. Wo & Sons Hawaii in the Hawaii, Honolulu, Oahu, Hawaiian Islands, Waikiki, Diamond Head, East Honolulu area. Product availability may vary. Contact us for the most current availability on this product. Tailoring Double needle top stitching. Leg or Skirt Choose from stainless steel sled legs or a wooden stiletto leg. Frame Construction Kiln dried hardwood laminate frame, CNC routed and laser cut components integrated into a unified chassis. Padding & Ergonomics Premium high density, high resiliency foam seats with fiber wrap. Browse other items in the Ely collection from C. S. Wo & Sons Hawaii in the Hawaii, Honolulu, Oahu, Hawaiian Islands, Waikiki, Diamond Head, East Honolulu area.